Kalencom makes fashion forward diaper bags. The Double Buckle Bag has magnetic closures. The wipeable outer surface make clean up a snap. Pockets in the roomy interior and exterior provide plenty of storage compartments. The adjustable shoulder straps make carrying comfortable. 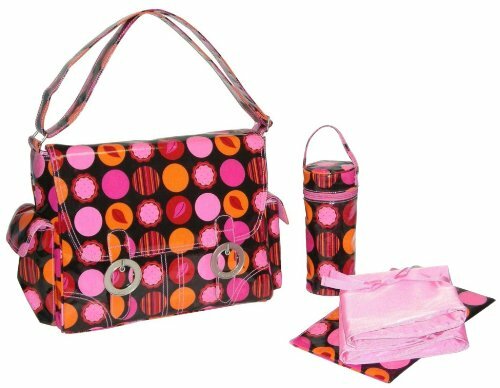 The Double Buckle Bag includes a coordinating zippered pouch, changing pad and insulated bottle holder. Kalencom is a leader in fashion and manufacturing products. The diaper bags are AZO free and do not have any Phthalates/DEHP, DBP or BOP.